Send Push Notifications through pushsafer.com from an IP camera to your browser, Android, iOS and / or Windows 10 device. Many IP cameras (especially older models) do not support sending of push notifications. 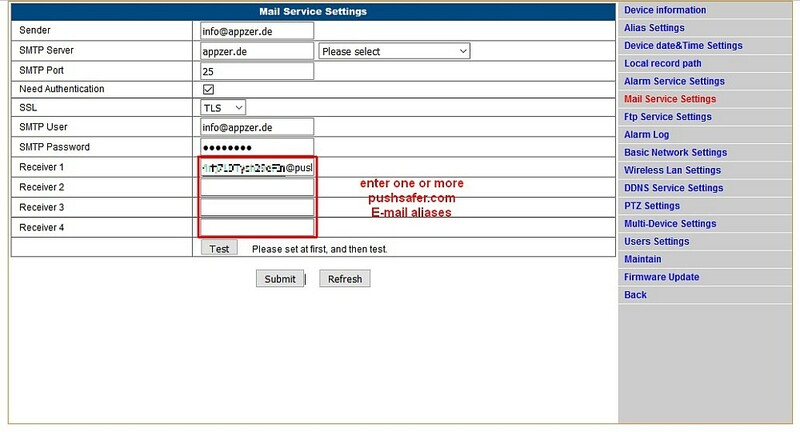 Pushsafer.com provides a solution! 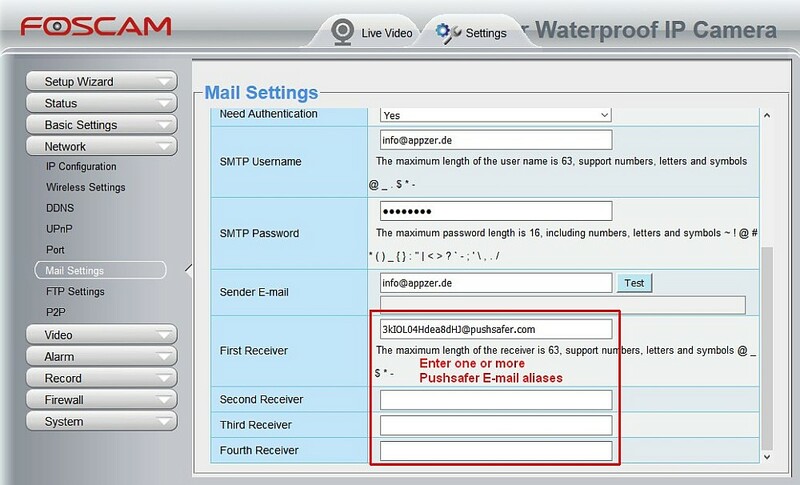 In just 3 easy steps, each IP camera that can send E-mails on alarm, also can send push notification. 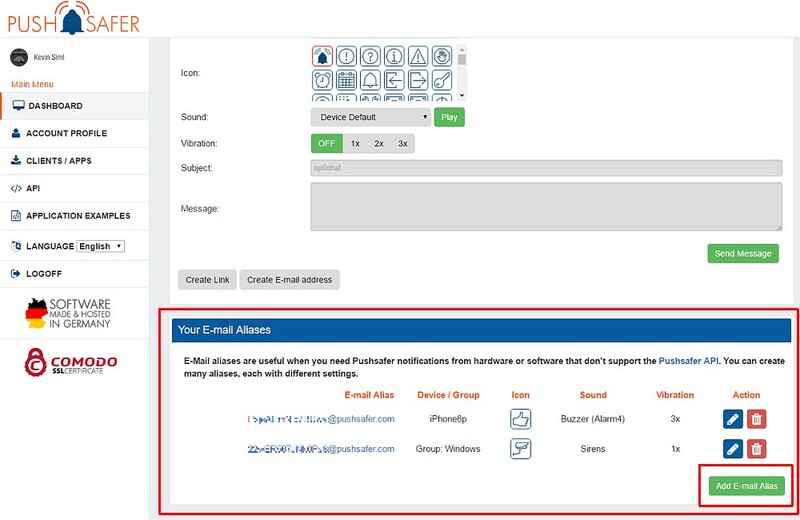 In addition, up to 3 alarm images can be transmitted, which are displayed in the client app! Notice: the first image also displayed in the push notification itself. At the bottom of your dashboard you will find the area aliases. Create a new alias with the desired settings. 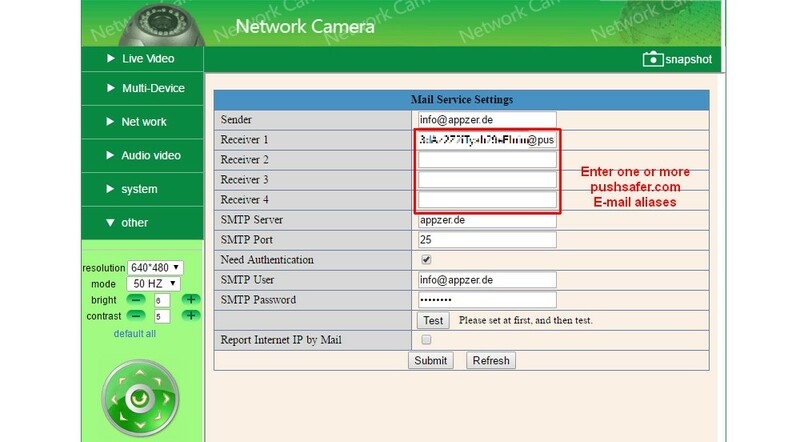 The alias email address you have to enter in the cameras Administration under receiver in the email settings. 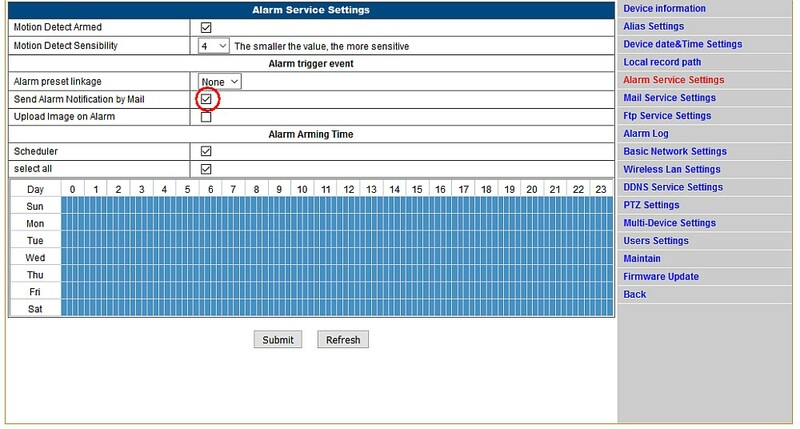 In the third step, only activate the option of sending an e-mail on alarm. Here are some examples of various types of cameras, such as Foscam, Wanscam, Apexis, 7Links, Abus, DBPower, Wansview and many others. 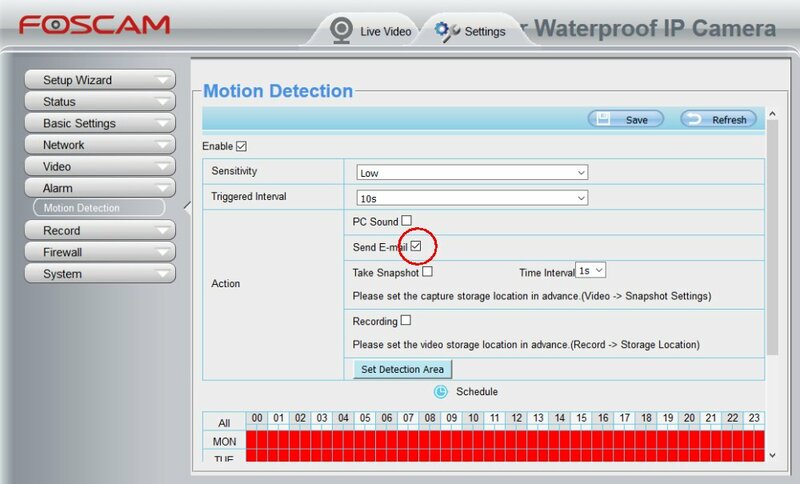 But as already mentioned, all IP cameras are supported, which can sent emails on alarm.